There are many sightseeing spots which are popular for its beauty of Japanese architecture. 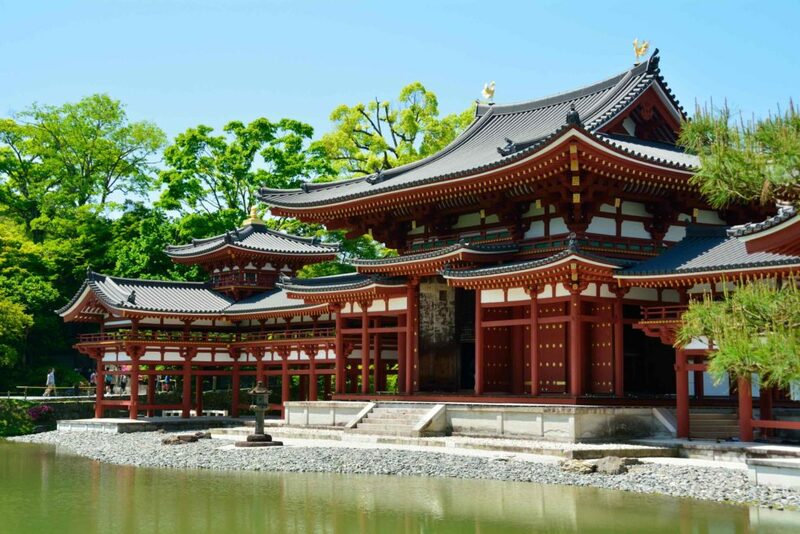 Especially the religious structures of temples and shrines are a masterpiece with a long history, and such places as Tokyo and Kyoto has any temples and shrines which are more than 1000 years old. These architectures are made by a “Miya-daiku”, the name for carpenters who are specialized in the construction of religious buildings. The magic beneath their construction is in the materials they use to build these architectures. They use a unique method, and by doing so they are able to construct sturdy architectures from materials with weak durability such as paper and wood. Miya-daiku is a specialist in building religious structures such as temples and shrines, so they do not construct normal houses or any building related to daily lives. In the construction of religious buildings, the use of metal and other hardware which is normally used for building houses are prohibited. So even when constructing a new temple or shrine, the basic materials must be paper or wood, the traditional way. The prohibition of using metal is strictly obeyed even nowadays, so even the use of nails to joint the woods are prohibited. Instead, a special method is used to put several woods together. The most special part of the Miya-daiku’s method is in the way of using only wood to construct a building. This special method is called “Kigumi Kouhou”. Normally, nails are used to put several materials together or to stabilize the structure. However, this method inlays the woods together like a puzzle piece. To make it sturdy, they consider the temperature and the humidity at the time of the process, since the condition of the woods slightly change. Considering these conditions, they control the strength they apply, and change the material at times. It takes many years of training and practice to use this technique well, and that is what makes Miya-daiku special and different from normal carpenters. The Miya-daiku’s work is not only building the architectures, but they also structure the decorations on and around the building. If you take a close look at shrines and temples, you will notice that most of the decorations are made out of wood. Each pice of the decoration is handmade by the carpenters, and their techniques are full of beauty and delicacy. The sculptures’ design have many variations depending on the carpenter’s taste, so some might be very flamboyant and others might be simple but refined. It is quite interesting to see many shrines and temples to compare the decorations. Miya-daiku’s work is not only to build new shrines and temples, but also to repair the old ones. The Japanese architectures made by a Miya-daiku is very sturdy because the materials are fit for Japan’s climate, however the woods do deteriorate by being exposed to the wind and rain. So from time to time, the materials must be renewed. The reparation of some famous shrines and temples are a big honor which few of the Miya-daiku have the privilege to do so, and in order to achieve that privilege, one needs to train for many years. It is said that the most important part of a Miya-daiku’s job is the maintenance of the tools. The tools must always be in its best condition in order to handle the woods, and the woods constantly changes its condition which makes it hard to handle. The first training of being a Miya-daiku starts from care and cleaning of the tools, such as learning the way to sharpen the blades of chisel and the wood planer. When a skilled Miya-daiku shaves the surface of the wood, it is said that the wood shavings are so thin and beautiful that it shines. The job of a Miya-daiku takes a big amount of time, and because the work need a lot of delicacy and care, it is said that it takes at least 2 years to finish one requested work. For some famous temples and shrines, the work could take for more than 10 years. However, the carpenters with those kinds of work are rare, and the majority of the Miya-daiku have a period of time with no work. Since the work of Miya-daiku is limited within the construction of religious architectures, they made their living by mending the cookware in the shrine such as pots and pans when they had no big work to do. Other then constructing, Miya-daiku’s another important job is to hand down the techniques to younger generation. The work of a Miya-daiku has no manuals or textbooks, instead it is handed down from the elder by watching their work behind their back. Because of this method, the training takes a large amount of time before becoming a full-fledged Miya-daiku. Now, there are less than 100 professional Miya-daiku, and under them there are many apprentice who trains to become a professional some day. The traditional architectures in Japan are able to maintain its beauty thanks to the hard work of these carpenters, and thanks to them Japanese architecture holds big popularity among foreign countries. If you have the opportunity to come to Japan for sightseeing, please stop by at a shrine or temple, to enjoy the beauty of what the Miya-daiku has created. Copyright © noren japan All rights reserved.